Looking at a 'Stirling Engine' microCHP boiler that is currently available to the UK market at an installed cost of ~£5000, a 1kW micro CHP boiler is best purchased when it is acquired to replace a typical gas condenser boiler, that has reached the end of its economic life. 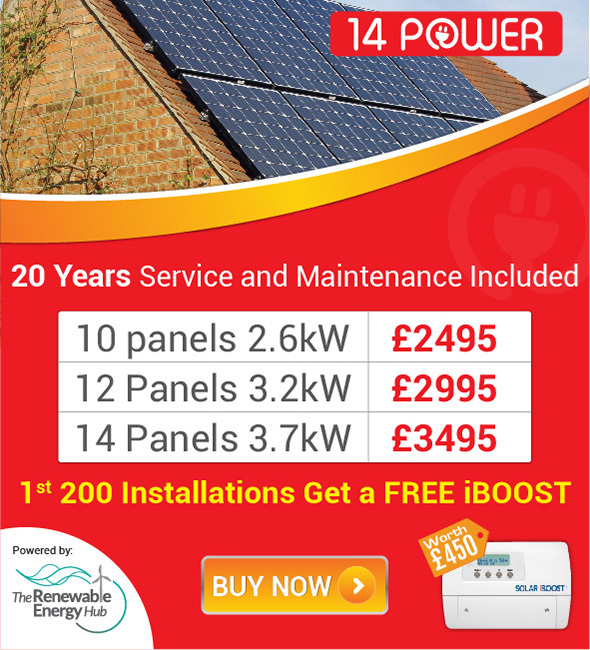 For the electricity you generate you will receive the feed-in tariff, which is currently set at 12.89p/kWh and is index linked over the 10 year period. You can offset the price of your system with the notion that theoretically you will be using less gas to heat your home or business compared to a standard condensing boiler in addition to fulfilling a proportion of your property's electricity demand, thereby saving money on your annual electricity bills. 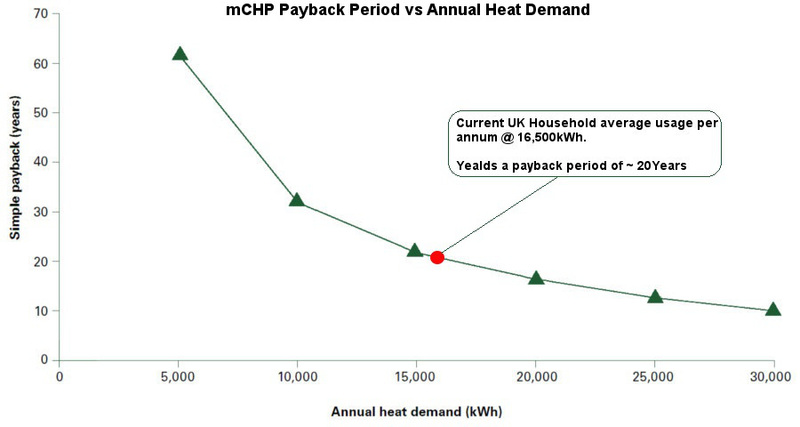 The true value of such micro CHP boilers can be felt when a property's energy rating is low and/or the annual heat requirement is very high (see the payback chart). This is because the longer the unit is required to be operational, the more electricity it generates and the more energy it generates, the greater the economic returns. This is primarily due to the fact that electricity is far more expensive per kWh than gas. Further benefits can be achieved by managing your electricity usage at times when the boiler is operational. The more of the electricity you use on-site when the mCHP unit is running, the greater economic rewards you will achieve. This is because your requirement for expensive 'dirty' grid electricity will reduce proportionately to that which is generated by the m-CHP unit. A recommended way to utilise 100% of the electricity generated by the unit, is to feed any unused electricity (when operational) into an immersion heater, thereby maximising the usage of the cheaper 'home made' electricity. This is because most FIT enabled technologies only have a generation meter and not an export meter, so the export amount is presumed to be 50% of all the electricity generated, whether you use 100%, 20% or anything in-between. Your installer can advise you on ways to achieve optimal system utilisation (this precise process can be applied to any FIT generating equipment without an export meter present).